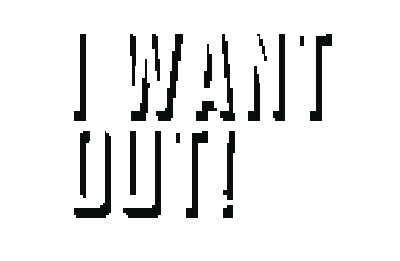 Adventure Game Studio | Forums | I Want Out! I Want Out! 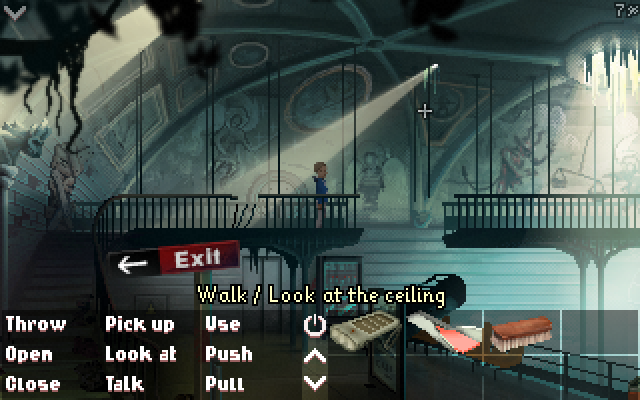 is an escape-the-room game. It's a short game that should require about one hour of gameplay. 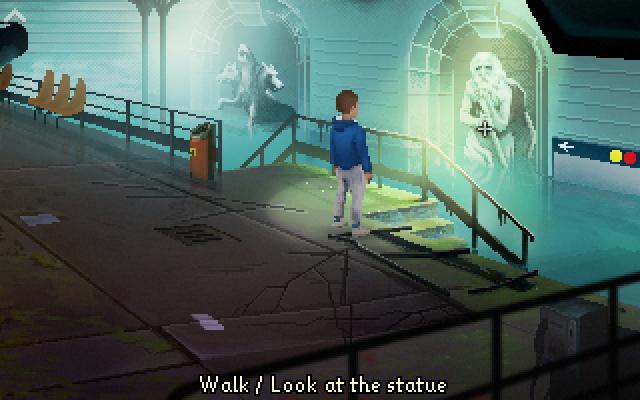 - realistic puzzles (at least, not far fetched ones). We tried to modernize the retro style by using 32-bits colors, transparency, maximum smoothness, an inventory interface that doesn't hide the bottom of the screen. You are called by a kid, asking for help. He is trapped in a mysterious place. Can you help him to get out? We used musics from known composer on this forum : Eric Matyas and Kevin MacLeod and modified sounds from Freesound.org. Their contribution was greatly appreciated. Thanks to Toxic Tuba for the German translation. Thanks to Alexander Preymak for the Russian translation. Thanks to Raul Puro for the Spanish translation. Thanks also to Crimson Wizard who improved various aspects of the engine which made things easier for us and to the whole community for the quality of the ressources here. - Modifications : some dialogs have been improved to better guide the player. Warning : savegames made with previous versions won't work with this new one. 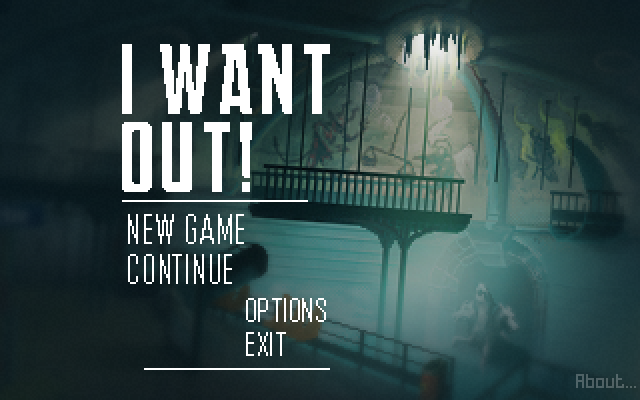 My first game : I Want Out! Now that it's out I can say that I want this game as next pick of the month. Ask and ye shall receive help. Congratulations for completing and releasing this project. The screenshots look very inviting. I'm going to have to find the time to play it. This looks awesome, but please, for the love of god, offer a zip file as alternative download. Fantastic game and atmosphere! Really well done. I put the paper under the door, used the screwdriver... also tried dynamite. Can't get into the metal door. Also I've built the raft out of empty soda bottles, sign and rope. But need one more item? You're right... you're not far from the end. Done! (both downloads are now available on the itch.io page). how to open that hatch. I guess I am still missing an item. There are 3 bars upstairs, yo have to pull and then push one to gain means to open hatch in floor. push the soda vending machine to reveal a sign on wall, then pull the cable from it. I really enjoyed the game - good work guys! As i said before, very good release. It's fixed in the new version. This looks very nice, well done! Page created in 0.101 seconds with 27 queries.